Just added labels to my blog page! 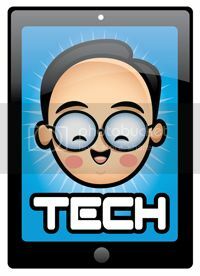 Now you can go to labels (located on the right hand side of my blog) and check out which places I have gone to. I labeled it by type of food and city to make it easier to check out. Please send me any feedback you have to try to make this a better search tool for you! Some ideas for next year! I'm already hard at work on some ideas for next year! 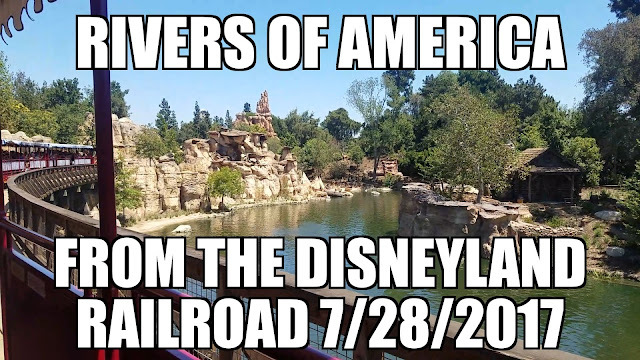 There will be a series on my favorite places in The Disneyland Resort! There will also be a series on my favorite places to eat! I will also start a fan favorite series that will feature you and I at your favorite place! So many ideas and so many places to go! You are always welcome to join me on my food adventures even if you do not want to appear on video! Check out the new video format! Hit the link above and let me know what you think of the new video format created, shot and edited by Toda! Changes to the video posts are coming! That's right there will be some changes to the videos that you see on my blog! The hard work of my friend Brenden Toda will incorporate the logo as well as the great song by Emily Simonian! Hopefully the first new format video will be up and running and we would appreciate the feedback! 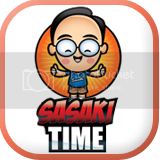 Hi Sasaki Food Time fans! I want you to check out my friend Michael silver's new blog A Nose For Wine. He just started it up today and I expect great content from him in the future! Stop by say hi and tell him you would like to see a Sasaki Food Time and A nose For Wine mashup in the future! Going to Emily Simonian's CD Release Party Tomorrow! That's right, I am off to The Mint in L.A. tomorrow afternoon for Emily's cd release party! Emily is the voice you hear on my official food blog song! Hit the link below to go to her website and listen to some of her amazing music! So I finally went to Mad Wolf Mongolian BBQ with my good friend Michael Barker. What a great place. Only $10 for all you can eat and great service makes this a place to come back again and again. My friend Michael is a really picky eater and as you can see from the video below, he only used beef and noodles and teriyaki sauce on his bowls. I on the other hand combined chicken, beef and pork with cabbage, celery, sprouts, and scallions with a mixture of teriyaki, curry, garlic, Ginger, spicy and mild sauces. Great food and great company at a great price cannot be beat! They are located at Imperial and harbor next to Albertson's. Off on a food adventure with a picky eater! I am off on another food adventure with my good friend Michael who is one of the pickiest eaters I know! We are going to one of his favorite places so this should be interesting! Hopefully pics and a video to follow this evening! 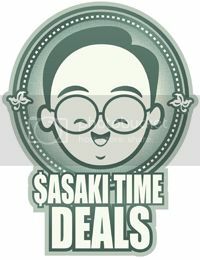 New Sasaki Food Time logo for Thanksgiving is up! Check out the new logo for Thanksgiving! Thanks once again goes out to Jerrod who is just amazingly talented! Hi there Food Fans! I'm back from vacation and thought I'd let you know some of my favorite places during Happy hour Week in Orange county which just happens to be this week! Brasserie Pascal in Newport Beach is two $10 platters that just sound amazing and are far too large to list here and easily will that serve two people. You can also order $5 Champagne cocktails. Commonwealth Lounge in Fullerton and Newport Beach has $4 craft beers, $5 martinis and lots of pub grub, including half-racks of baby backs for just $6. This is where I will most likely be tomorrow! Happy Hour Week in Orange County starts today! First we discussed OC Resturant Week and now it's the start of Happy Hour Week! Pretty much the same restaurants involved for Restaurant Week are involved in Happy hour Week! check out the link here to Happy Hour Week! Have fun and I'll send you my tips on some of the places I'll be going to this week! Getting Ready for a Food Adventure! I will be heading off to NoCal for the weekend and trying a few new places! Expect new reviews after the weekend! Jason at Roscoe's - 1st HD video! One Week until my first food blog vacation! So I am mixing business with pleasure as I get ready to head up to Northern California this coming Friday! I get to mix my two favorite passions - Food and Disney! So there will be a lack of updates this coming week but rest assured that there will be new reviews and videos during my trip! My friend Rachelle and I are planning on visiting American Cupcake, Fenton's and hopefully Tex Wasabi's! Along the way we are visiting The Walt Disney Family Museum and the Pixar 25th Anniversary Exhibit! Maybe there will be some other places thrown in between but we shall see! then click this link to here page and to her beautiful music! The Official Sasaki Food Time Song! That's right! You have been hearing about it and here it is - the official Sasaki Food Time Blog Song sung by the talented Emily Simonian! hope you enjoy it! It's embedded on my page and is set on autoplay! So when you click on the page it is there to greet you! So first I have to start off with, why have I never been here before? Owner Bruno Serato told me that I must make sure to return here and not wait 20 years to come in for a visit! After tonight I will be back time and time again! The ambiance is picture perfect. We just came in for desserts and coffee while we listened to the silky jazz sounds of Emily Simonian who was performing live inside the White House. Emily who is amazingly talented and her voice blended in perfectly with the atmosphere of this amazing restaurant. By the way even though Emily is the voice of my official food blog song, trust me when I tell you that she is a talent waiting to be discovered. I'm attending her cd release party in L.A. in December but enough of that for now. The desserts were amazing and we had a tough time deciding! And for those of you who know me, you know that's amazing just on it's own! I had the dolce al zabaglione, a delicious white cake with creme and strawberries. The cake was light and reminded me of a moist hawaiian sweet bread. The creme topping had a wonderful liquor flavor to it. My friends Andrew and Katey had a wonderful apple tart and a chocolate banana tart. Both came topped with spun sugar that was much like cotton candy. There was very little to no talking at the table once the desserts arrived. We will be back! I'm heading to the white house - The Anaheim White House tonight for dessert and to listen to the amazingly talented Emily Simonian. She is the upcoming artist who performs my upcoming official Sasaki Food Time blog theme song! Thanks everyone who came out to celebrate 10-10-10 with me at Alcatraz Brewing Company last night! There will be many more events like this in the future! That's right the next event is coming up and it's Happy Hour Week! Very similar to OC Restaurant Week but focusing on great deals during Happy Hour! Pretty much the same restaurants that were participating in OC Restaurant Week also participate in Happy Hour Week! So starting October 24th until the 30th, you will be able to find great deals during Happy Hour and many places will offer a longer Happy Hour! There will be more info to follow! That's right OC Restaurant Week comes back next year in either February or March of 2011! And if you follow me then you'll be in the know of all the latest in what's happening and what are some of the best options out there! This Sunday October 10th at Alcatraz Brewing Company at The Block! On 10.10.10, we’ll open at 10am for your football viewing pleasure. We’ll serve an Alcatraz Burger + Beer for $10, and all pitchers of beer will be $10 (usually $16) all day long. The Walt Disney Studios visit! Today I went to visit The Walt Disey Studios - the place that Walt built after the profits fro Snow White! And why was I here? To eat at the studio commissary of course! They recently changed managements and the food is now really healthy and it is reflected in the ingredients. There is a Chinese food section, a pizza section, a Mexican food section, a grill section for burgers, a grilled cheese bar, a fresh sandwich bar and a massive salad bar! Too top it off a great assortment of desserts! I literally walked around three times trying to figure out what I was going to have. I finally decided to try the grilled cheese bar. They offer three different grilled cheese sandwiches and I had the grilled cheese with bacon, tomatoes and cheddar. It was amazingly delicious and came with homemade chips and a pickle. Great healthy food and I'll be back. TWDS commissary of course they had Walt's chili! I am heading to The Walt Disney Studios today. I will be visiting one of my favorite places tomorrow - The Walt Disney Studios in Burbank. Perhaps there will be a food review or two from there! The last day of OC Restaurant Week was amazing! My friend Rachelle and I went to Geisha House in Santa Ana, located across the street from the Main Place Mall. This was well worth the price and especially after reading all of the negative reviews on YELP! It makes me think to not trust YELP! so much. But anyways off to the review. We both decided to do the six course $30 menu. The first course we both had the miso soup. Now miso soup is like comfort food to me. It was served nice and hot just the way it should be. The next course we both went for the mixed greens with the soy ginger dressing. Soy ginger dressing is already one of my favorites as my mom made it and this one was close to my mom's recipe - I think they actually took it from her. For the third course I went with the albacore carpaccio which was impressive. The slices of albacore were matched perfectly with the balsamic jalepeno sauce. Rachelle went with the kanpachi serrano a lovely blend of amberjack with a light lemon ponzo sauce. The citric acid went perfectly with the amberjack. Next up was the white samurai roll. This was just a wonderful blend of spicy tuna and spicy crab with more albacore. Rachelle went with the surf and turf roll and lovely blend of lobster with thinly sliced melt in your mouth filet mignon. For our main entree with both choose the grilled filet mignon in a soy, garlic and sesame sauce which was to die for. The filet mignon melted in your mouth and the suce was just savory. The side of asparagus was perfect with a nice crunch and more of that delicious sauce that was marinated with the filte mignon. Fro dessert I went with the coconut creme brulee which was just perfect though I wish the serving size was a bit larger. It was rich and creamy and not very overpowering on coconut flavor. Rachelle went with the crisp fruit wontons which were hot and delicious. Speaking for the two of us, we will be back to Geisha House! totally worth the prix fixe menu deal and please do not believe the reviews in YELP! Good morning! You only have until Saturday to go out and try one of the amazing prix fixe menus at over 122 restaurants as part of OC Restaurant Week! Go and try someplace new or go back to an old favorite! So Steph and I went out to JT Schmid's this evening to try their $30 prix fixe menu and I have to say we were both impressed. The attention of the staff wasn't the best but it soon picked up by our wonderful waitress. The $30 prix fixe menu includes a flight of their craft beers. That alone is worth trying the prix fixe meal. The first course that I selected was the ahi poke which was exceptional. The tuna was just grade a sashimi. It was served on a wonton chip over a nice fresh green lettuce and a ponzo style sauce. Steph went with the chicken and avocado eggrolls. She thoroughly enjoyed them. The second course was the blue cheese top sirloin steak. I choose the homemade coleslaw and garlic mashed potatoes as my sides. I should have went with Steph and got the rack of baby back ribs which as you can see in the photo below this review that it was a full rack of ribs. Steph only ate like half of them because the portion was just that huge. For the third course Steph went with the double fudge ice cream sandwich. It was rich and creamy. Just perfect! I went with the bread pudding which was amazing. It was served nice and warm as it was made fresh and came right out of the oven. We had a great time and the food was great with enormous portions. So come hungry. Just don't expect the best hostesses. So you have a few days left for OC Restaurant Week or you'll have to wait until next year! As my first tour on the OC Restuarant Week I went with my friend Kevin to RA Sushi to try their prix fixe $20 four course dinner. I was afraid that I wouldn't be full on only four courses but I was happily proven wrong! There are about three or four different options for each course. The first course I choose your basic edamame but with garlic and rock salt. The portion size was much larger than I expected! The next course I choose the spicy crispy treats. They were these really tasty rice paper hand rolls stuffed with crispy rice and spicy tuna, mixed with cucumber, lettuce and avacado. They also came with a nice and spicy soy chili sauce. with spicy tuna on top.The sauce is a nice sweet eel sauce. And for the finally both Kevin and I ordered the cinammom temupra ice cream. Our waitress warned us both about how massive this dessert was and I scoffed at first. Then this massive plate of fried goodliness came out. Just amazing! So come and check out RA or revisit it! A great and friendly staff. Not really kid friendly since the atmosphere is very club like. I'll be back for more RA Sushi! I'll be back! 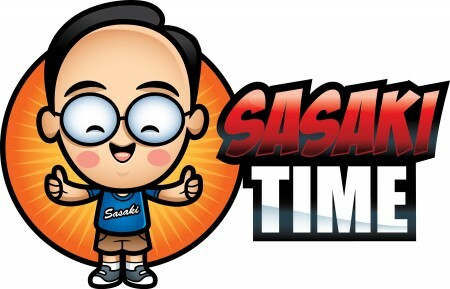 Welcome to the new home of the Sasaki Food Time Blog! Here you will find all the old videos and all the new updates as well! Thank you for all of your support! Please send in your reviews or places we all need to go and try!